A friend has the motto “do more of what makes you happy”. In that vein this year I find myself playing loads of board games with people in Stockholm. Unfortunately I find I am not playing enough. I am part of a group that meets for 2-3 hours every 2 weeks. I have discovered that I have a gaming itch that needs to be scratched far more regularly! I have been investing in games with strong solo player modes. Terraforming Mars is excellent in that way. 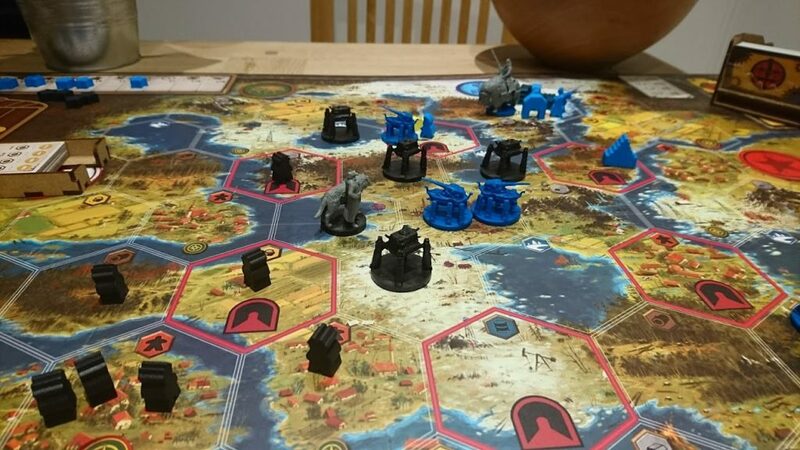 But this evening it was Scythe. I picked it up a week ago and have been getting to terms with its very interesting mechanics.